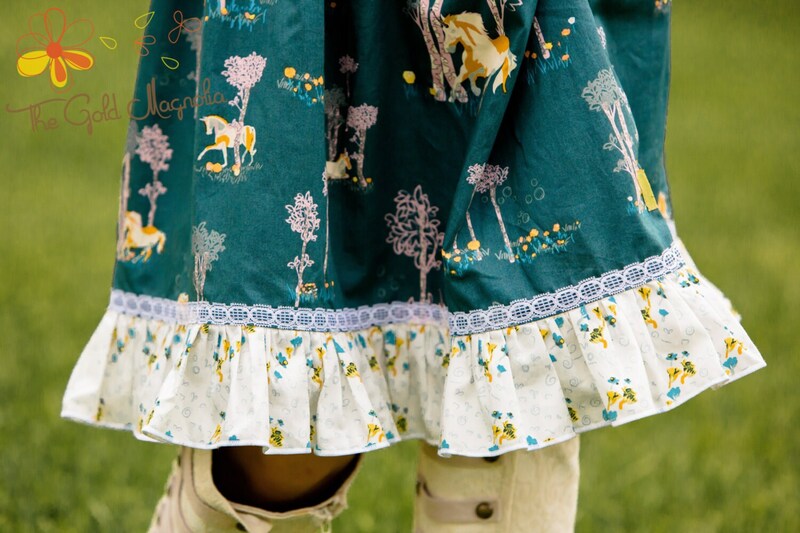 This dress is the perfect canvas for this Unicorn Fabric! Topped off with the Gold Floral and lace accent takes this to a whole other level! 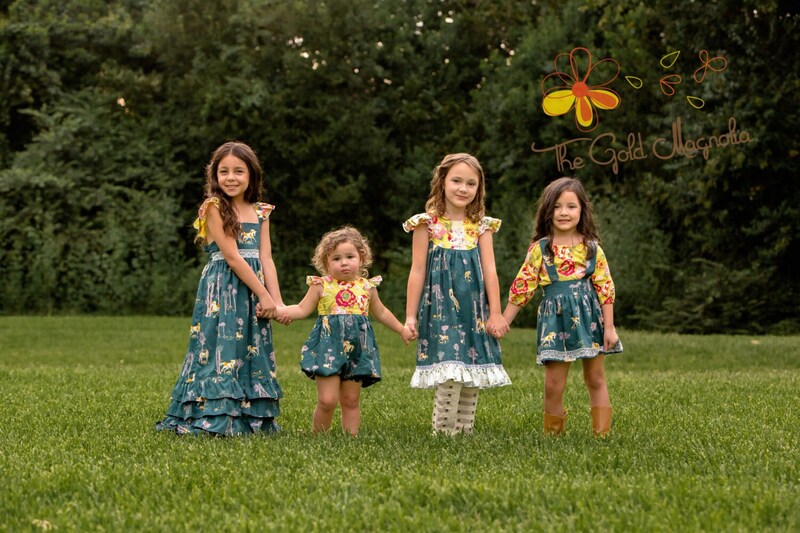 This is a modern trendy dress perfect for school, pictures or any outing! 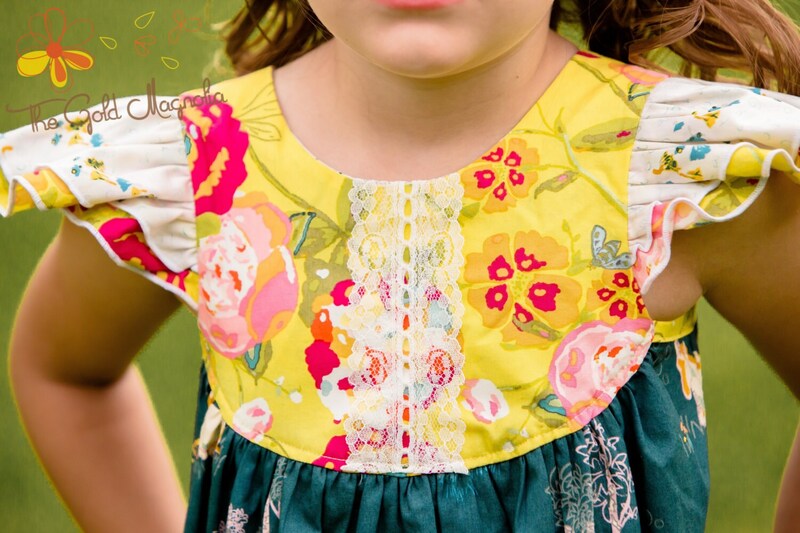 The flutter sleeves and bottom ruffle finish this off in style! Sizing will accommodate a layered look with long sleeve top, add tights and boots and you are fall ready! Sizes Available: 0-3 Mo to Size 8 – Please message me with sizing questions! 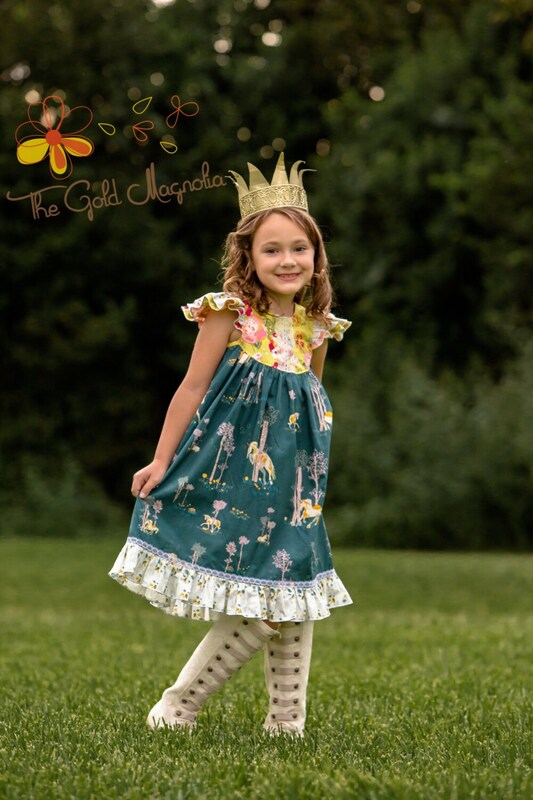 I absolutely LOVE the unicorn dress I purchased for my niece! It is adorable. She is going to be so excited to receive this for her birthday. It is very well made, I would recommend this shop to anyone. You won't be disappointed!